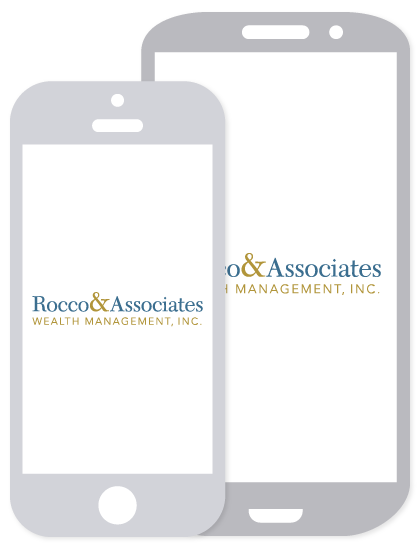 EJ's Economic Edits - Healthcare Economics | Rocco & Associates Wealth Management, Inc.
With October and Breast Cancer Awareness month still fresh in our minds, I felt it appropriate for this month’s blog to discuss this topic that continues to dominate our 24 hour news cycles and social media feeds. In its simplest definition, health care economics studies the effectiveness, value and behavior in the production and consumption of health and healthcare services. Central to this discussion, since the passing of the Affordable Care Act, is the debate that are the costs, economics and human behavior associated with providing this type of program sustainable? 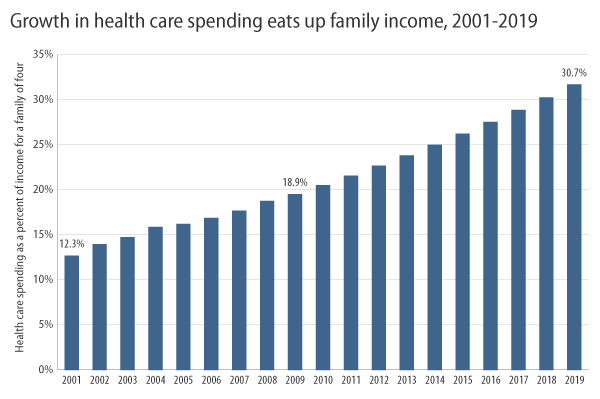 Over recent years there has been a huge shift in the costs associated with healthcare. The primary driver of this change is profit. Let us first revisit the traditional formula for calculating profit, PROFIT = (PRICE – COSTS) x QUANTITY. For the medical profession the formula is slightly altered since medical care providers no longer set the price for their services, the insurance companies do. Therefore their formula looks something like this, PROFIT = (REIMBURSEMENT – COSTS) x QUANTITY. In order to counter lost revenue due to reimbursements, medical providers only have two options to attempt to maintain profit, either reduce their costs or increase the number of patients they see. Unfortunately the number of patients a doctor sees has been rising for 20 years, which no doubt has had an effect on the overall level of care. Has anyone waited an extra ordinary amount of time lately when visiting your physician? Based on these assumptions, can our current healthcare delivery system even be saved and supported by a universal delivery system that is driven by not what the actual care costs, but rather the reimbursements or the negotiated rate? Looking at the costs consumers bear in this exchange for services is equally troubling. Today patient payments account for over 35% of provider revenue, up from just 5% in 2000 and we are not handling it well. Some of us are not going to the doctor for regularly scheduled appointments, while others question the severity of certain medical issues and are holding off on a procedure because we can’t afford it. Here is the paradox…isn’t the whole reason we purchased insurance was to offset the overall costs of medical care so we CAN afford it? This behavior of course has a direct effect on the providers as well. As I mentioned above, if a physician is being forced to see more patients to maintain profitability, but the patients stop coming because they can’t afford the negotiated rate, everyone loses. For a checklist of potential ways you might be able to reduce your medical costs click here. There is yet another victim in this equation that hits our clients even closer to home. Because so many are adjusting their spending habits to offset the rising costs of healthcare, they are jeopardizing their long term retirement goals as well. In fact, in a recent study, 39% of respondents said that in their attempts to meet rising healthcare costs, they were doing so at the expense of reducing their contributions to their retirement accounts. So what can be done to stem the tide in keeping a healthcare system in place and working to benefit those participants that it was established for? First and foremost, patients need to get a better idea on what the true cost of healthcare is, so they can plan for it. This is easier said than done, considering we really don’t have a true understanding of what a certain procedure will cost and what the insurance company will eventually reimburse. Fully understanding your plan and what it covers and at what reimbursement percentages can help. Setting a budget to achieve any type of goal is the first step. Second is to be sure any funds that are set aside to offset future medical costs, are easily accessible. One idea is to establish a HSA. Another is to build an emergency fund to cover unforeseen costs. Last but surely not least, try to remain active and healthy. A recent article claimed that just 30 minutes of walking five days a week could save you $2,500 a year. It is estimated that by not staying active, individuals cost the United States about $28 billion each year due to medical expenses and lost productivity. If you are still struggling, consult your financial planner. As part of every planning engagement, our firm conducts a full audit on medical costs, including a thorough review of employer sponsored plans and the most cost effective Medicare choices and supplements for each individual. The debate surrounding any healthcare system that works for providers, insurance companies and the individuals it was set up to assist, will no doubt continue following all of us. As medical practice consolidation evolves and technology alters the overall traditional delivery methods, there will be many changes to contend with, but we are here to help! Give us a call with any questions. Until next time, keep the faith!